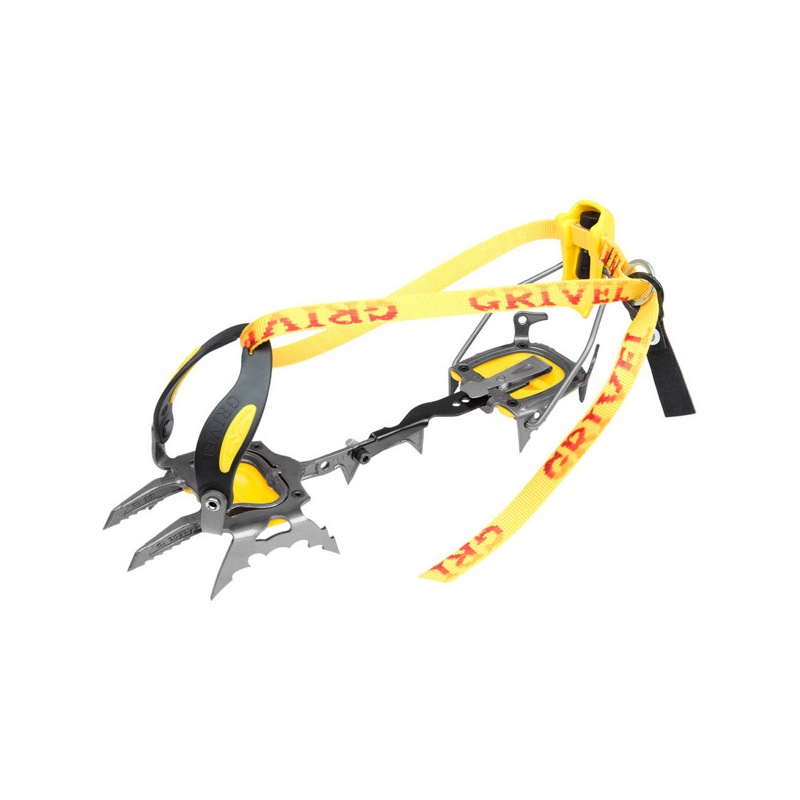 The G22 is dual point version of Grivel's G20 crampon, designed for technical ice climbing. In the same spirit at the G20, the G22 features Grivel's patented Monorail technology, which helps to distribute weight over the points evenly. It is incredibly light for a technical crampon - only 930g - and also include a set of alternative centre - 'Twin Bars', designed to cope with modern boots that have a large hollow in the instep. It comes equipped with Antibott plates, which stop snow and ice clogging up the underside of the crampon.